Apple Ready to 'Pin' The Fancy? Apple Ready to ‘Pin’ The Fancy? Everybody loves Pinterest, the photo microblog + shopping venture that has become the world’s number three social network almost overnight. Even more interesting, however, are the people who love The Fancy, a Pinterest clone that has attracted attention from a who’s who list of luminaries, both tech and celebrity. On Thursday of last week, mercurial rapper Kanye West Tweeted he was “Working on the future with Joe Einhorn,” founder of The Fancy. As interesting as that bit of name dropping is, Twitter cofounder Jack Dorsey, Facebook co-founder Chris Hughes, LeRoy Kim of Allen & Co and James Pallotta, the owner of the Boston Celtics, are all on Fancy’s board. Further, Marc Andreessen and Ben Horowitz, the co-founders of venture-capital firm Andreessen Horowitz, are investors. That is serious star power. However, that’s just the tip of iceberg. 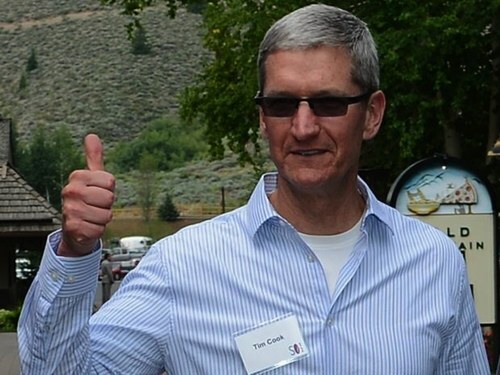 According to BusinessInsider, Apple’s Tim Cook is more than a little interested in Fancy and was spotted at Allen & Co.’s Sun Valley conference earlier this year chatting with Einhorn. And, now, it is rumored that Cupertino is in discussions to acquire the upstart social network. The objective: to secure a role for Apple in the growing e-commerce market, putting the 400 million-plus users with credit cards on file with Apple’s iTunes Store to work shopping—with Apple getting a cut of the action — BusinessInsider. Whereas Pinterest has more users, tens of millions of them, The Fancy has been quicker to monetize and the company is already generating sales of $10,000 of day, which is hardly chicken scratch for a 20-man startup.